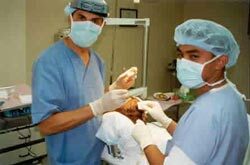 Kolasiński J., Kolenda M.: Algorithm of hair restoration surgery in children. 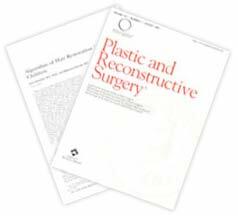 Kolenda M., Kolasiński J.: Reconstruction of hair loss of the upper lip in man after plastic operation of the cleft lip and palate. Kolasiński J., Zieliński W., Kolenda M.: Cryosurgery for the treatment of varicosities: cosmetics and effectiveness. 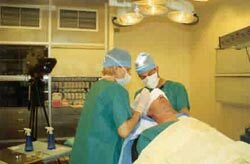 Kolasiński J.: The new theory of hair transplantation. 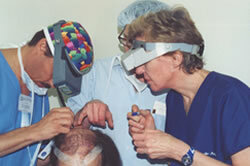 Kolasiński J.: Monocryl suture in hair transplantation. Kolasiński J.: Transplantation: How to do it easier, faster and cheaper. Kolasiński J., Zieliński W., Kolenda M.: Leczenie rekonstrukcyjne pooparzeniowych ubytków skóry owłosionej głowy. Kolenda M., Kolasiński J.: Ultrasound treatment of lipomas. Kolasiński J., Kurmanow J.: Tissue – expanders in the treatment of scalp defects. 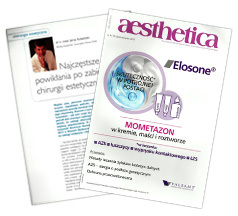 Kolenda M., Kolasiński J.: Application of micropigmentation in treatment of skin discolorration. Małgorzata Kolenda „Value of Measurement of the Antinuclear Antibody Label ANA1 and ANA2 before PRP in the Treatment of Alopecia” 23rd Annual Scientific Meeting – ISHRS, Chicago September 9-13, 2015. 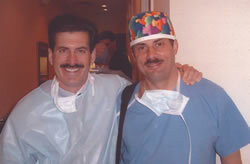 Live Surgery – Workshop, Orlando, USA, February 2001. From the left side: Dr Patrick Frechet (France), Dr Marcelo Gandelman (Brazil), Dr Jerzy Kolasiński. 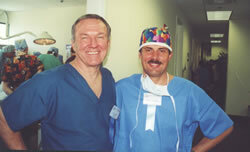 Live Surgery – Workshop, Orlando, USA, February 2001. From the left side: Dr Jerzy Kolasiński, Dr Paul M. Straub (USA), Dr Sharon A. Keene (USA), Dr E. Antonio Mangubat (USA). 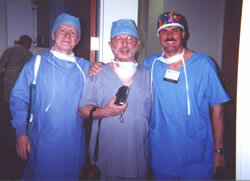 Live Surgery – Workshop, Orlando, USA, March 2002. 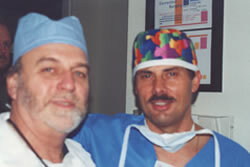 Dr Bobby L. Limmer (USA), Dr Jerzy Kolasiński. 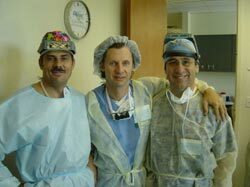 Live Surgery – Workshop, Orlando, USA, March 2002. Dr Matt L. Leavitt (USA), Dr Jerzy Kolasiński. 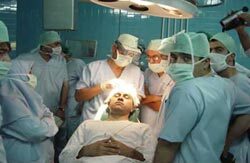 Live Surgery – Workshop, Orlando, USA, March 2002. Dr Jerzy Kolasiński, Dr Jennifer H. Martinick (Australia). 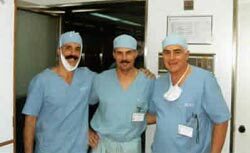 Live Surgery – Workshop, Orlando, USA, March 2002. 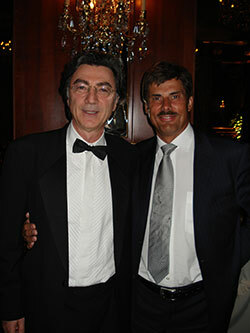 Dr Carlos J. Puig (USA), Dr Jerzy Kolasiński. 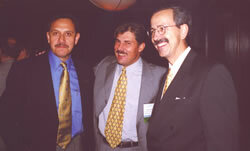 Congress of ISHRS, Chicago, USA, October 2002. 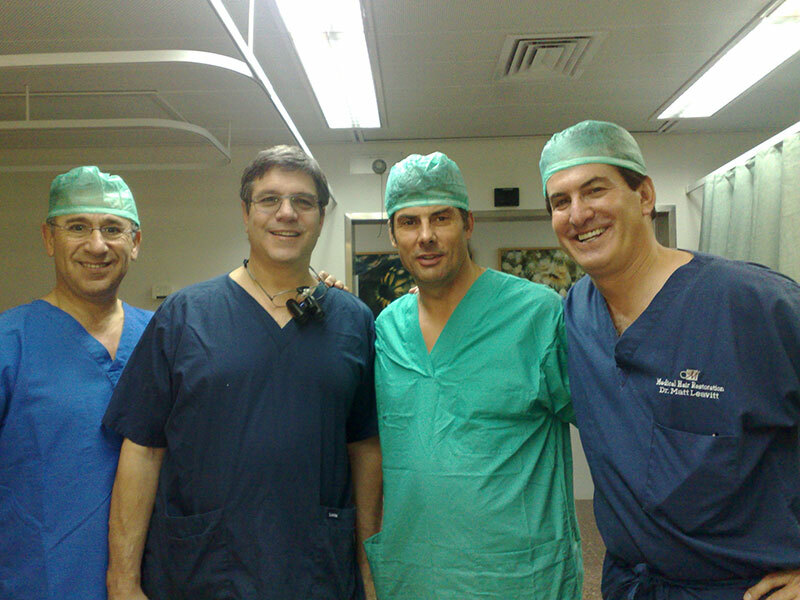 From the left side: Dr David Perez-Meza (USA), Dr Jerzy Kolasiński, Dr Alfonso Barrera (USA). 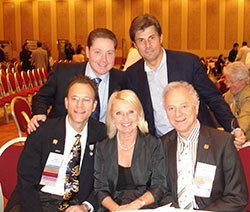 Congress of ISHRS, Chicago, USA, October 2002. 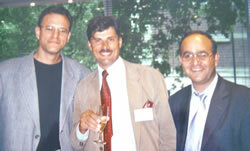 From the left side: Dr Robert S. Haber (USA), Dr Jerzy Kolasiński, Dr Gholamali Abbasi (Iran). 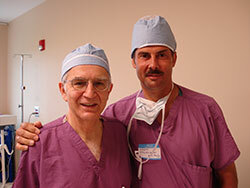 Live Surgery – Workshop, Orlando, USA, March 2003. Dr William M. Parsley (USA), Dr Jerzy Kolasiński. 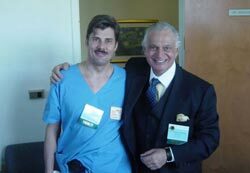 Live Surgery – Workshop, Orlando, USA, March 2003. Dr Jerzy Kolasiński, Dr Rolf Nordstrom (Finlandia). 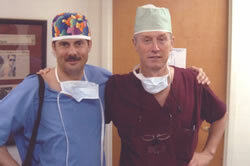 Live Surgery – Workshop, Orlando, USA, March 2003. Dr Michael L. Beehner (USA), Dr Jerzy Kolasiński. 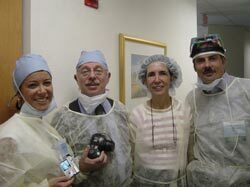 Live Surgery – Workshop, Orlando, USA, March 2003. 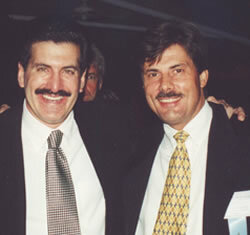 Dr Matt L. Leavitt (USA), Dr Jerzy Kolasiński. Congress in Tehran, Iran, October 2003. Dr Jerzy Kolasiński and profesors from The Tehran′s University. 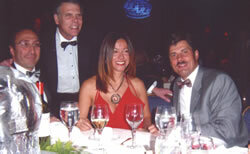 Congress of ISHRS, New York, USA, October 2003. 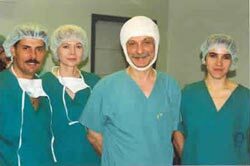 From the left side: Dr Bessam K. Farjo (Great Britain), Dr Paul T. Rose (USA), Dr Melike Kulahci (Turkey), Dr Jerzy Kolasiński.